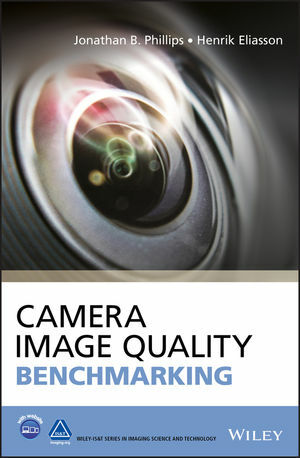 Wiley publishes a book on image quality "Camera Image Quality Benchmarking" by Jonathan Phillips (Google) and Henrik Eliasson (Eclipse Optics). "The authors show how to quantitatively compare image quality of cameras used for consumer photography. This book helps to fill a void in the literature by detailing the types of objective and subjective metrics that are fundamental to benchmarking still and video imaging devices. Specifically, the book provides an explanation of individual image quality attributes and how they manifest themselves to camera components and explores the key photographic still and video image quality metrics. The text also includes illustrative examples of benchmarking methods so that the practitioner can design a methodology appropriate to the photographic usage in consideration."